Mike sent me a photo from Omdurman. He says it’s not the tomb of the mahdi but it does give a contemporary feel of the historic city. Hayes is well past Omdurman in this segment, making his way across the Nile/Congo divide. On the last day of January 1914 Hayes’ small caravan arrives at “Libogo (stone),” a station atop a mountainous rock from which he can see across “a great expanse of rolling country” to other high hills marking the Congo-Nile divide. By Libogo Hayes has learned to call “the concubine of the Englishman who lives beyond Yei” by her name, Maliboro. 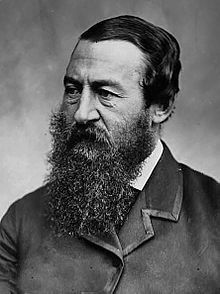 He receives the typical offer, and issues his standard refusal: “Maliboro… offers to throw [the Englishman] over and cast her lot with me in the Congo. She is not unprepossessing in looks or manner, but she must stick to her first love.” Perhaps he was less cynical when speaking to Maliboro in person. 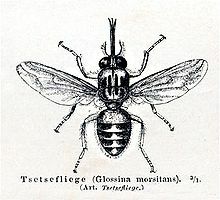 Tsetse fly was identified as the vector for sleeping sickness by David Bruce in 1903 – eleven years before Hayes passed through “a great sleeping sickness camp at Yei containing 450 patients.” An arsenic based treatment developed in 1910 – with blindness as a considerable side effect – might have been in use at the camp. The doctors say “there is hope” for many of the patients lightly infected. Some of the more advanced cases “imagine they are hyenas or other wild animals and simulate these beasts in their actions.” Others have entered “their last long sleep that can only end in death. It may take a man three or four years to die, but die he will unless some check can be made by these medical men here.” Hayes reports the presence of two types of tsetse flies in this region, one infecting domestic animals, the other humans. 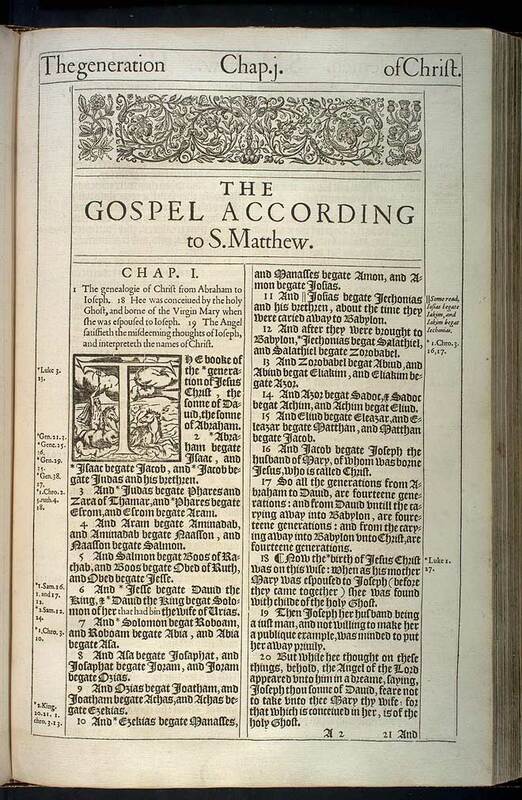 He asserts as fact that “in a little while all these cattle in the transport will have been bitten and in due course die.” A reader can’t help but wonder why he didn’t assert the same fact about himself. Some patients at the camp at Yei suffered a parasitic guinea worm that makes its way to the foot after being introduced through drinking water. 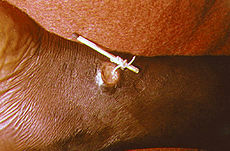 Hayes describes a treatment used in 1914, based on “some strong solution” and a match, that pretty closely mirrors the 2007 photograph of treatment for guinea worm on wikipedia. Maliboro came to Yei as “temporary wife” to Quentin Grogan brother to Ewart Grogan. Of Quentin, Hayes writes: “This man has a world-wide reputation as a hunter. He was recently a guide to Theodore Roosevelt in the latter’s expedition to Africa on a great game hunt.” Of Ewart, Hayes writes, he “was the first man to make the journey from Capetown to Cairo.” Ewart Grogan undertook his trip up the continent for love, finishing in 1900, as has been recently re-enacted and chronicled by Julian Smith in Crossing the Heart of Africa. Hayes writes that Europeans commonly take temporary African wives, though Brits rarely acknowledge the practice openly. Ever one to admire candor, Hayes writes of Quentin and Maliboro: “He acknowledged her openly, something unusual for a Britisher.” Through Hayes’ eyes all will be well: “When he leaves the country , [Quentin] will reward her with many gifts and she will return to her people… [to] be sold by her parents to some native later, bear children and be an honored member of her community.” Children from her temporary union with Quentin Grogan are unlikely because “Europeans do not breed freely in the tropics, else the country would be full of half castes.” One reads no trace of irony in these credulous remarks. On February 5, 1914 Hayes crossed from the Sudan into the Congo. 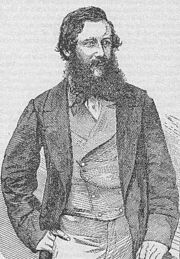 Despite his glorious adventure down the Nile: “I now bid farewell to the hamrah and the regulation-ridden Sudan, and leave it gladly hoping never to see it again.” Neither the British who govern the Sudan nor the Belgians in control of the Congo maintain a post at the border; the Brits remain 38 miles east at Yei, the Belgians 12 miles west of the divide at Aba. Crossing the international border necessitated a change of porters. “A wild, excited crowd of 70 porters were waiting for loads when I rached this place (also called Libogo).” An excessively observant Moslem Egyptian sub-officer annoyed Hayes with public prayers but the man’s slight English helped Hayes arrange for a new group of porters. Nothing to hold him at Aba. Forward into the lush greenery of the Congo. Finally! On caravan, with porters, creaking ox carts, askaris with rifles, rumors of Lions, tsetse fly, sleeping sickness… – Hayes is living the image of Africa formed when he was ten years old hearing stories of Livingstone, Stanley, and Emin Pasha on the banks of the Coquille River in Oregon. The terrain map shows Hayes approaching the African continental divide about to enter the drainage of the Congo River. For the first time Hayes writes of traveling with porters. He makes no mention of who pays the men or how much, but he roundly criticizes “the Bimbashi or major commanding the post [who] would not permit me to divide my large boxes into small loads fit for porters up to the Congo, this being against regulations.” From reading Hayes’ diary thus far, one feels certain the thought of a bribe to the Bimbashi never entered his mind. “I was entwined in the mazes of red tape until there was no escape, almost had to stay here for two weeks because of some slip in further red tape at Khartoum,” where authorities had neglected to certify him free of sleeping sickness. Castle-Smith relented on the quarantine but not on redistribution of the loads. “My porters are old men and mere boys. One of my loads weighs 67 pounds, too much for a strong man.” In fact, “All of them are heavy and I may not open one to lighten their burdens.” Hayes is in charge – “As the lone European, I have the papers for the caravan” – maybe he thought distribution of loads would be checked at a subsequent rest house. Though Hayes never described the full extent of his caravan, it included several wagons “drawn by bullocks, two to each cart. A man leads each team, another by his side with a gun.” Hayes writes that he’ll endeavor to put the 67 pound overloaded pack onto one of the carts. Also walking with the caravan “is a comely Bari girl” – more to be said about this “temporary wife… billed as ‘Mr. Grogan’s servant,'” later. Hayes steaming up the Nile enchanted by the wildlife visiting the adventurous places he’d read about as a boy. Here is the map of the journey from London so far. November, December and January. One more overland push to the mission at Niangara. “There are fewer people on the river now.” But the few Hayes sees interest him greatly: “Both the Dinkas and the Shillooks are quite naked. Their only effort in the way of clothing is to mix cow dung with their hair, making a ring six inches wide resembling a hat brim. From the distance it looks like nothing else than a low crowned hat. The bodies of every person is (sic) smeared with ashes of burned cow dung to keep off the mosquitoes. It would require a strong-stomached mosquito to drive his beak into this mass. It is said these people are more virtuous than those who wear clothing.” A group of men, all over six-feet tall, stood crowded round a white woman “as she exhorted them” at the mission station at Lul with no apparent discomfiture on either side. Just after passing the mouth of the Sobat, Hayes writes, “We have entered the sudd.” This 35,000 square mile swamp (Hayes’ estimate) in which the Nile flattens, choked with papyrus, effectively blocked “discovery of the source of the Nile” from the north for several thousand years. Its rampant vegetation stopped the boats then its fetid climate killed the explorers trying to hack their way forward. By 1914, Hayes sailed up a 450 mile (Hayes’ estimate) permanent navigable channel maintained by the British through the sudd. Now entirely out of the sudd, Hayes “arrived at another old town of days long gone, Gondokorko, known to Speke and Baker, pioneers on the upper Nile.” Speke and Baker had been central figures in the European search for the source of the Nile in the early 1860’s. Speke’s famous telegram from Khartoum claiming “The Nile is settled” was disputed by other players (Richard Burton) because Speke had traveled overland from Lake Victoria to Gondokoro not following the course of the river, thus failing to conclusively establish continuity from the source.